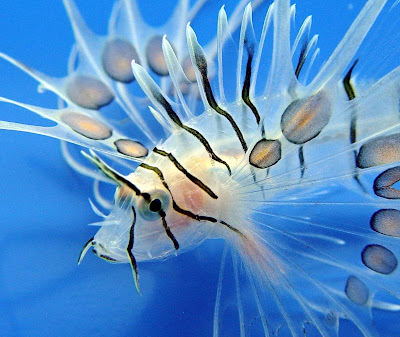 Lion fish: This fish is also called zebrafish. 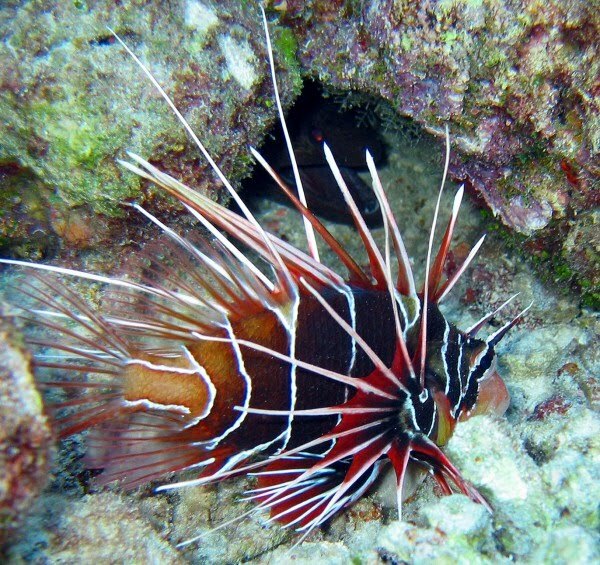 It has a poisonous spine in great painful and quite effective. 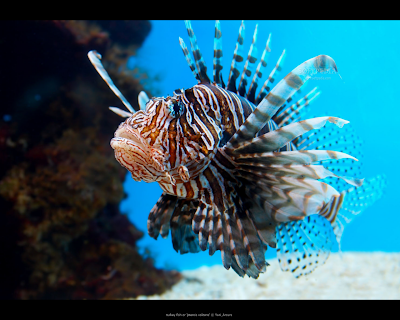 Lion fish is a group of toxic marine fish species belonging to the genus Pterois, Parapterois, Brachypterois, Ebosia or Dendrochirus of the Scorpaenidae family. 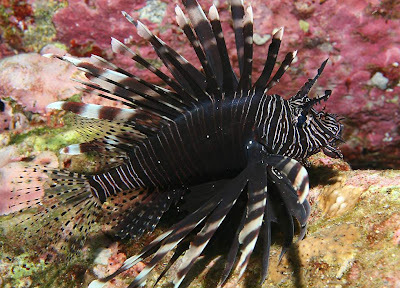 Lepu is a predatory species. 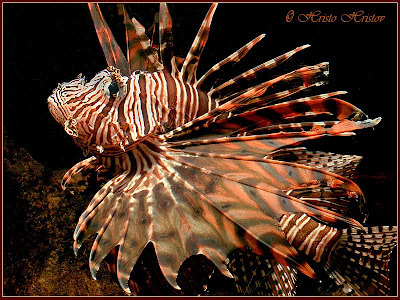 When hunting, they would corner his quarry with large fins and with their quick reflexes suppress prey at once. 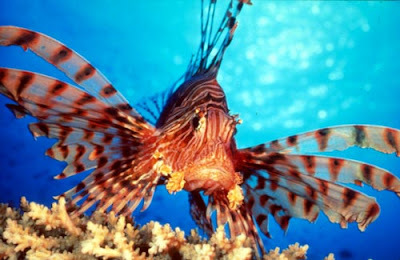 Lion fish are known for a long prickly and have red, brown, orange, yellow, black or white criss-cross. 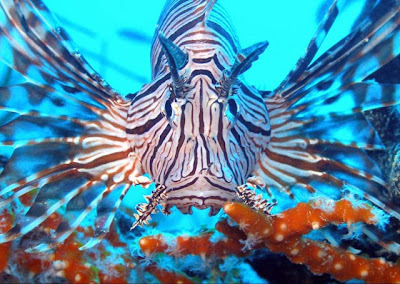 This fish group is classified as a subfamily (Pteroinae) or a tribe under Scorpaeninae (Pteroini). 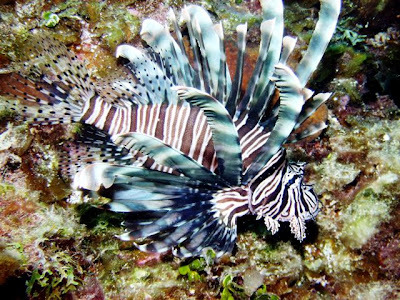 Lion fish habitat rocky reef in the Indo-Pacific region. 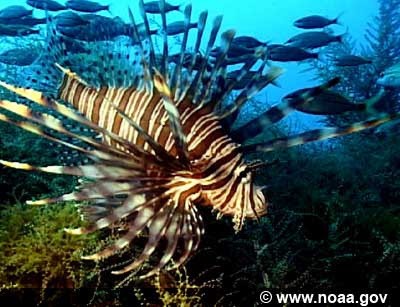 Some species are also found in the eastern Atlantic coast from Long Island to Florida.